Locatelli has been a brand name synonymous with the best quality Pecorino Romano. Most famously known as a grating cheese, this name controlled sheep milk cheese comes from the provinces of Lazio and Sardinia. 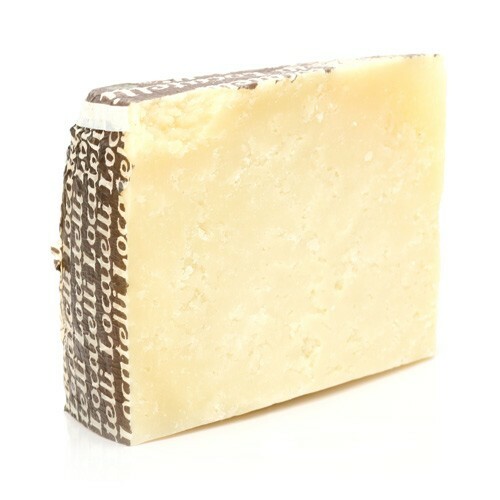 Pecorino is an Italian word meaning from sheep's milk, and Romano indicates that this cheese is of Roman descent. The most famous brand for Pecorino Romano in the U.S. is Locatelli Pecorino Romano. Aged for a minimum of nine months, this cheese is hard and dense; strong and sharp in flavor. It is pale yellow in color, with a black paper rind bearing the name Locatelli. Grate this cheese and serve it over pasta, soups, and salads. As a dessert, serve it chunked, drizzled with honey, and paired with ripe pears. A classic ingredient for many Italian pasta dishes, we sell this Locatelli cheese as a whole chunk to ensure freshness and quality. Because of its salty taste, it is best served with sauces with big flavors, traditionally those from the Roman region in Italy.